Find the right camp near you! Kids camps in Vancouver come in a wide range, with as many different focuses as you can imagine. 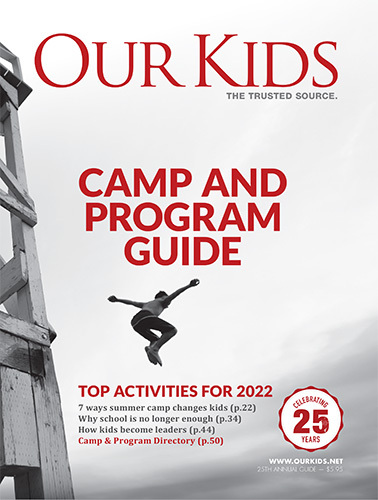 Camps for kids younger than 12 in Vancouver tend to be separated from those for teens and older kids. Kids this age love activities like Minecraft or LEGO, and you'll find a variety of age-appropriate programming above, focused on activities like those. For working parents, these kids' camps offer an alternative to day care. More importantly, they encourage kids to be more independent and to develop friendships from out of their area. At this young age, kids (as well as parents) may have some trepidation about going to camp. For kids who have initial shyness, getting out to meet new kids and get involved in group activities that match their interest can be an important leaning experience. It's certainly important to listen to your child, too, and do all you can to make the camp experience as happy as it possibly can be. Not all camps will be separated by age, of course, and you can find, for example, soccer camps that welcome children and teens of all ages. Summer camp for teens in Vancouver will offer activities more appropriate for kids this age. For example, you can find camps for adventure or travel, well-tailored to older teens. Overnight summer camps like these might take teens out of the city or even out of the area. You don't have to go that route, of course. Day camp activities ideal for teens include performing arts like dance, as well as youth sports camps like hockey schools, or educational kids' camps ranging from STEM to magic camps. Overnight camps bus kids out of the city to destinations near and far. You don't have to go far, of course, to find beautiful scenery and a wonderful variety of outdoor experiences. These traditional camps offer Vancouver teens and kids the quintessential camp experience. They can expect to experience late night campfires roasting hot dogs in the coals, spend hours on end outside away from their devices, and create volumes of lifetime memories. These camps are exceptionally good at fostering independence, self-confidence and leadership and give kids an edge in the world.